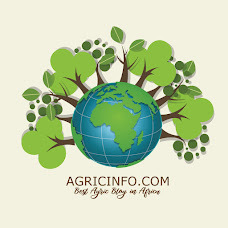 Best Agriculture Blog in Africa. Visit for the latest happenings in Agriculture sector, Agriculture News and Many More. Subscribe Today! YAM FARMING (How To Start Yam Farming - Beginners guide) Yam is considered the most important food staple in West Africa where 70% of the total yams produced worldwide comes from. Every year, festivals and rituals are carried out in different parts of the region to mark the arrival of the new yam. Apart from these festivals and rituals, there is huge profit in yam farming business as discussed in the previous article Five hundred by five hundred meters size of farmland could yield you 50,000 tubers of yam which is valued at N10 million ($50,000) at one dollars per yam. This is a golden opportunity for any serious farmer who would like to take advantage of this season to cultivate yam in large quantity. Apart from selling locally, yam can be exported to the United States of America, United Kingdom, Netherlands, France, Germany, and even Japan. While Nigeria is the major producer of yam in the world followed by Ivory Coast, Ghana is in the other hand the major exporter of yams, accounting for over 90% of total yams exported from West Africa annually. Why have Nigeria, Ivory Coast, and Cameroon not been fully involved in the exportation of yams, leaving the opportunity only in the hands of Ghana? I think ignorance may have played a role in this. Yam farming is important, exporting it is also important. I wonder why we keep overlooking this very important farming business opportunity. For those who are serious about doubling their investment this year through yam farming, here are step by step how to start yam farming anywhere you can find suitable land. This article focused on “White Gunea Yam” ( Dioscorea rotundata ) the popular species cultivated in West Africa. Locate Suitable Farmland For Yam Farming Yams prefer growing in upland and they should be planted in a well-drained field. Optimum yields are obtained from sandy loam and silt loam soil although acceptable yields are also obtained from clay loam soils, particularly those high in organic matter. While some yams does relatively well on stony soil, it is however not advisable to plant yam on stony hard soil. Forest lands in most tropical region offers ideal environment for growing yam both in soil quality and climate conditions. Preparation Of The Land Properly clear the bush and burn the grasses with fire at the appropriate time. Yam is best planted within the months of February and April when the rainy season is just beginning. These are the best periods for land preparation. After the bush had been cleared, make hips of loose soil of about one meter in height and one meter apart. Ridged bed types are also good for yam planting. When the latter is used, the ridges should be constructed one meter apart. In the case of sloping or rolling fields, construction of ridges should follow the contour to minimize soil erosion. This is essential in yam farming. While making the ridges, it is important to remove any hard objects that could hinder the growth of the yam tuber. Preparation Of Setts Setts are whole tubers or tuber that is cut in pieces used for planting. If the tuber is small, it can be planted whole, but if it is big, it has to be cut in pieces to the size of 60g to 100g. As a rule, the bigger the sett used, the higher is the expected yield but shouldn’t be too big, else, you will be wasting resources. Setts should be taken from healthy tubers of healthy plants. Appropriate sett size are not sliced while larger tubers are sliced into the desired sett size so that each sett has sufficient skin surface area. Thus, four types of setts are obtained and are named according to their positions on the tuber as follows: head setts, middle setts and tail setts for the tuber pieces and whole setts for the whole tubers. Cut sides of the setts are treated with ash or with fungicide and air dried. After air drying, setts are either pre-sprouted or planted directly. Pre-Sprouting Of Setts Because the emergence period of most freshly prepared setts in the field lasts from three to twelve weeks, it is desirable to pre-sprout the setts before they are planted. This procedure assures the emergence of setts when planted and minimizes expenses on weeding before sett emergence. To pre-sprout a sett, a shallow ditch is dug in a clear shaded area under trees, under bananas, or under a shed constructed for the purpose. Setts are placed side by side in the ditch and covered with dry grasses or dry banana leaves. In cases where no ditch is dug, the setts can be placed side by side on the ground instead. Setts are grouped according to type. For setts cut from large tubers, the orientation is either skin up or crown sideways. Setts can be covered with a thin layer of soil and are watered at least once a week until all the setts have produced sprouts. With sett pre-sprouting, it may be desired to stagger planting and land preparation since setts do not sprout at the same time. In general, whole setts and head setts sprout ahead of other sett types. Planting pre-sprouted setts can, however, also be done at one time. 1. Preparation of pre-sprouted setts for staggered planting. To prevent sprouts from becoming too long, setts that have already sprouted are removed from the pre-sprouting seedbed and placed on a platform in a shady place. The process is repeated every week until the desired number of sprouted setts is obtained. The sprouted setts on the platform are not watered. Setts should be planted before sprouts become very long. The same procedure is performed for setts intended for the second and succeeding plantings. This is especially the case for yam farming in West Africa. 2. Preparation of pre-sprouted setts for single planting. The procedure followed in single planting is essentially the same as that used in preparing setts for staggered planting. The former is done only after most, if not all, setts have produced sprouts. By this time some sprouts which may have grown quite long should be trimmed before the setts are planted. Planting Procedures The usual planting time for white yam is March to April, depending on the time the tuber dormancy is broken, as indicated by the sprouting of tubers under storage and upon start of rain in a particular area. This means that you have to start the pre-sprouting process well ahead of the planting time, at least for 3 weeks Like I said before, the distance between the planted yams should be 1m x 1m and at a depth of about 10cm. When planting coincides with a dry spell, setts are planted in any orientation about 15 cm deep if the field will not be mulched. About 20,000 to 27,778 setts are needed for one hectare of farmland. Pre-sprouted setts: Setts are usually planted at the start of rain if the field cannot be irrigated or will not be mulched. The same planting distance and depth for non-pre-sprouted setts are used. When planting, setts should be oriented so that sprouts are up. To achieve this, the cut surface has to face the ground. In staggered planting, the field is divided into four up to six sections – a section for a batch of setts ready for planting. The size of each section and the time each section is prepared, is guided by the rate of sprouting of setts. Mulching The Ridges In order to reduce soil temperature, conserve soil moisture and suppress weed growth, it is preferable to mulch the field where the yams are planted. Dry coconut fronds, corn stalks, rice straw and other similar materials may be used as mulch. If rice straw or similar material that rots readily is used, the mulch is made thick (about 10 cm) so that it will not rot completely within four or five months. For yam farming and to further to protect the soil from excessive loose of moisture, mulching tends to add some nutrient to the soil from the decaying materials used. Weed Control The number of times a yam farm needs to be weeded depends on the use of pre-sprouted setts, the application of mulch and the rate of weed growth. If non-pre-sprouted setts are used and the field is not mulched, two to three weeding operations are needed before the yam canopy covers the space between rows to partially suppress weed growth. If pre-sprouted setts are used and the field is mulched, at most only two weedings performed about two months apart are needed. Hand tools are the only method I recommend. Uses of other methods such as animal powered plows are dangerous to the plants as the vines may get damaged in the process. Use of herbicides may be acceptable in some areas. Replanting (Replacing Dead Yams) Some amount of sett mortality can be expected, particularly in while Guinea yam when non-pre-sprouted setts are used for planting. Thus replanting is done, usually about two months after the original planting. Hills with no sprouts are checked to see if there are rotten setts which should be removed and replaced with new ones. Unsprouted setts that did not rot should not be replaced because they still can produce sprouts later on. Staking The Yam Vines Plants are staked before vines start crawling on the ground. The recommended stake length is five to ten meters and a stake to every plant. Bamboo poles are the most desirable staking material; similar material that can support the yam vines for at least seven months can be used as stakes. There are various methods of staking; three of the more popular ones are as follows: Trellis method; this stake setup is not very stable and requires more materials to support the stakes (posts and tie wire). However, weeding and hilling up operations using animal-drawn implements can be done easily under this setup. Modified trellis method; with this method, ground spaces under the stake arch need not be weeded as the foliage becomes dense. Also, stakes formed in this manner provide stable support. However, weeding and hilling up operations that utilize animal-drawn implements cannot be done under the arches. Pyramid method; this staking method has the advantages and disadvantages of the modified trellis method. In addition, it requires fewer, though sturdier, materials for stake construction and requires lesser amount of labour to construct. 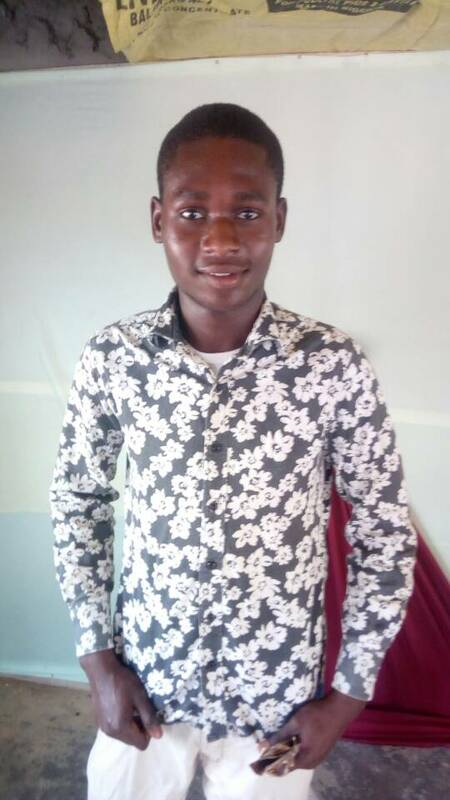 On the other hand, it has an additional disadvantage because yams grown under this method usually yield lower than those grown under the modified trellis method of yam farming. Training The Vines The water yam (Dioscorea alata) vine twines to the right while that of white Guinea yam (Dioscorea rotundata) twines to the left. When vines start crawling on the ground, they are trained to climb their respective stakes. They are trained again when long branches start crossing the rows or when weeding operation is about to be done. Fertilizer Application A hectare of water yam is able to remove about 128 kg nitrogen, 17 kg phosphorous and 162 kg potassium from the soil. This represents more or less its fertilizer requirements. In the case of white yam, no information is available regarding the amount of nutrients it can remove from the soil. However, like other yams, its fertilizer requirements should be similar to that of water yam. The level of soil fertility in the field and the amount of fertilizer that need to be added can be determined by submitting the soil samples to the any agricultural institute or to IITA for analysis. The assistance of the local Farm Management Technician should be sought regarding this. Application of inorganic fertilizer; The recommended amount of fertilizer is split into two, one-half applied about one month after emergence and the other half applied about two months after the first application. The band method of fertilizer application is used, with the fertilizer being placed about 10 cm away from the plants. Application of compost ; yams respond well to organic fertilizers like compost – a mixture of decayed organic matter composed of plant parts and animal manures. The compost is mixed with the soil while the field is being prepared or it is placed just below the spot where setts are to be planted. Covering Exposed Tubers As tubers elongate rapidly towards the end of the growing period of the plants, some tubers tend to heave, thereby causing them to be exposed to the sun. Heavy rains also expose the tubers. Exposed tubers should be covered with soil to prevent them from greening. Greening could make it to become inedible in some cases. Harvesting Time And Method Yams are ready for harvest when its foliage is already yellowing or drying up. The yellowing or drying up period of the foliage usually starts in late November and lasts until February the following year. Tubers, especially those intended to be used as setts for next season’s planting are harvested at the later part of the period. Tubers intended for consumption or for the market are sometimes harvested earlier, even before foliage yellowing sets in. A hoe or a similar hand tool is used to dig around the tuber to loosen it from the soil. Then the tuber is lifted and clinging soil particles are removed. The vine is cut at the base to complete the harvesting. For sandy soil, sturdy stick sharpened at one end is sometimes used to dig out the tuber. For clay soil and for varieties with deeply buried tubers, other specialized harvesters like shovel may be used. Whatever tool is to be used to harvest the tubers, it is important that care should be exercised so as not to injure yam while digging as that may reduce the market value and hasten its decay. After tubers are cleaned, they are collected and placed in rattan baskets or bamboo or wooden crates lined with soft materials such as banana leaves, paper or grass straw. Healthy and diseased tubers are placed in separate containers. The tubers are arranged in the container in two to four layers, depending on tuber size, and a soft material that can serve as cushion is placed between layers and in the spaces between tubers in a layer. The container is then covered with paper or banana leaves and a string net is woven over the mouth of the container if the tubers are to be transported immediately to the market. No cover is provided for the container if the tubers are to be transported to a nearby storage place. When you are done harvesting, take your product to the market and make sales. Yam farming is lucrative as yam is a very important commodity in the market and sells very fast. That’s all for now, don’t hesitate to share your opinion with us, you can ask questions using the comment box below or just share your experience in yam farming. I am an Agric Blogger, A student and a Photographer. Click the links below to follow me on my social media handles. 10 Things You Should Know About Noiler Birds.